Being from India, the developers of Hike Messenger are aware of the struggle with internet in the country. Even in metropolitans, the networks of most (loudmouth) telcos are patchy and while Jio has spurred the adoption of 4G, besides making data plans and compatible headsets cheaper, most Indians remain disconnected from basic internet services. “Total, Build by Hike” could be an effective solution to the problem. Hike, which is worth over $1 billion thanks to investment from Tencent and Foxconn, has launched a set of applications for first-time smartphone and internet users in India. 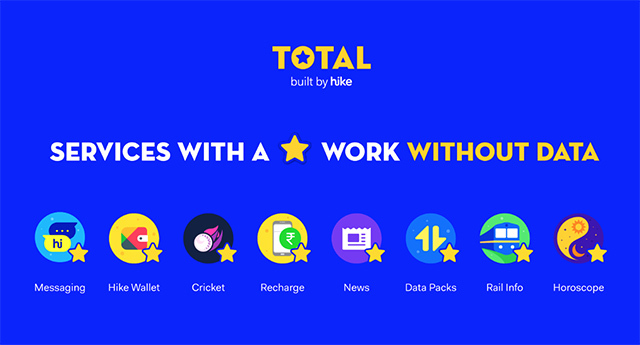 Ranging from messaging to payment wallet to cricket scores and rail updates, Total by Hike offers a pleasant variety of internet-based applications which run without an active data connection. These applications use USSD which is the underlying technology on which operators can send and receive basic information like balance requests from users. Hike has signed up with operators including Airtel, BSNL, and Airtel and developed a proprietary system to use USSD for free and basic internet usage. Hike has also partnered with Indian OEMs to like Intex and Karbonn to launch Total-powered Android devices starting at ₹3,500. These devices will have all Total-branded apps pre-installed with Hike as the default messaging app. 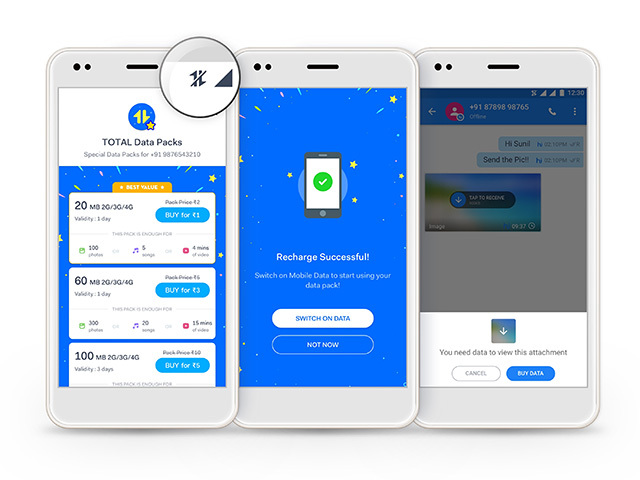 While the apps run without data, for activities, like downloading a photo, that require an active data pack, users will be able to recharge with tariffs as low as ₹1. The payment can be made using Hike wallet which is connected with users’ bank accounts via UPI. 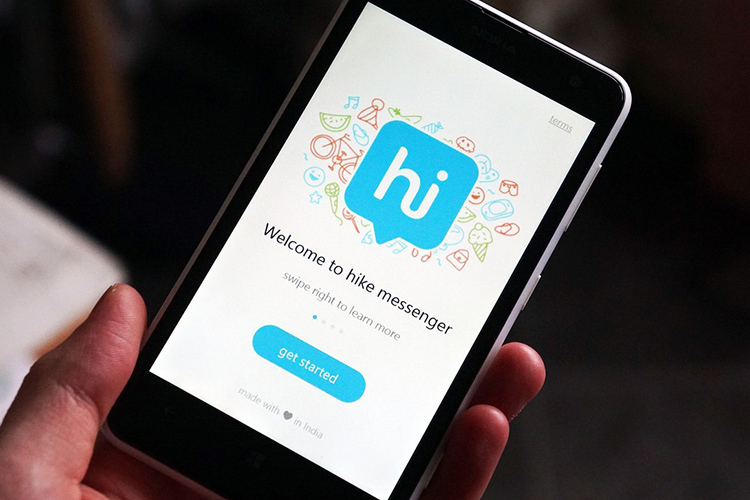 By signing up manufacturers, however, Hike does not desire to shut out other messengers like WhatsApp which has twice the number of users in India as Hike – although Hike’s offering does look more colorful and could attract absolute new users. Total phones have support for Google Play Services and users are free to install apps from the Play Store. Although Hike’s initial plan is to bring one billion Indians online, CEO Kavin Bharti Mittal says that the services will eventually be launched in other data-deficient markets including many developing countries across Asia and Africa. It would be interesting to see how these Total devices fare against Android Go, the lightweight version of Android expected to come to low powered devices in developing countries.